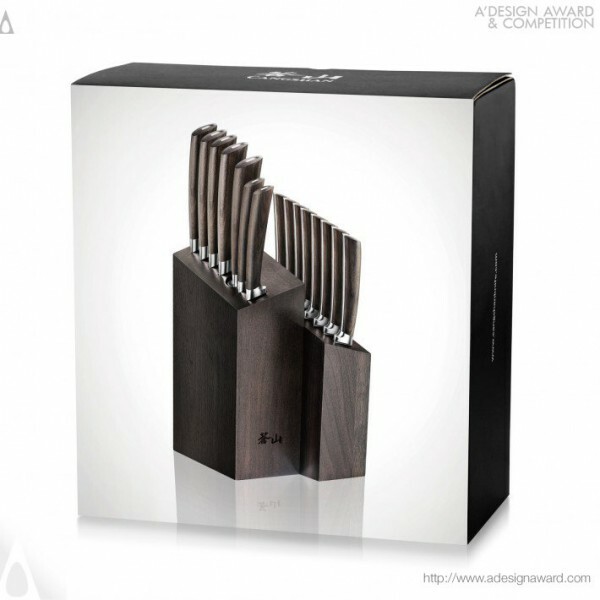 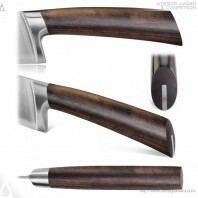 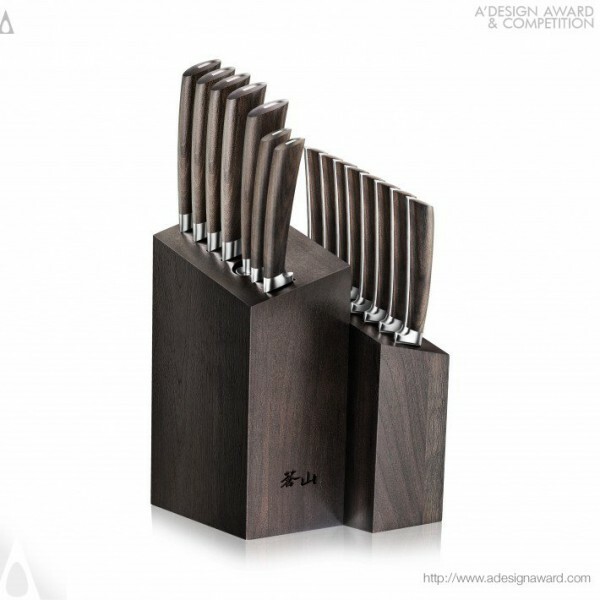 Cangshan, the creative mind behind the award winning design Knives by Cangshan explains, The A Series utilizes dark and durable Walnut in the knife block to accentuate the fluid curves and dense African Blackwood handles of the knives. 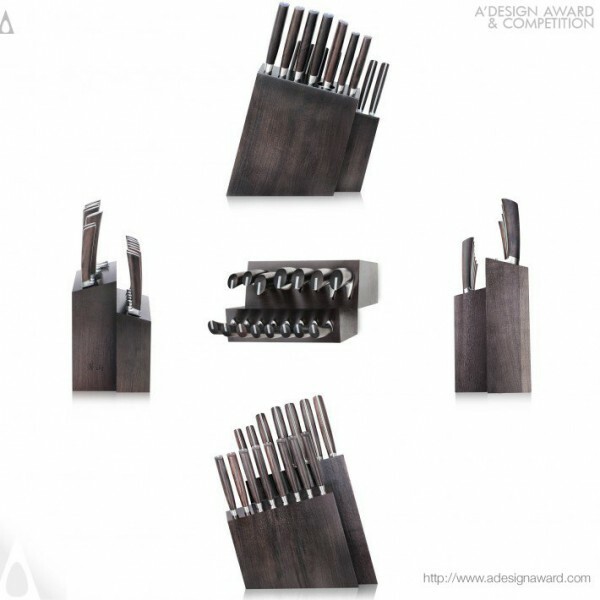 Form and function seamlessly meld together to create a knife both luxurious and practical. 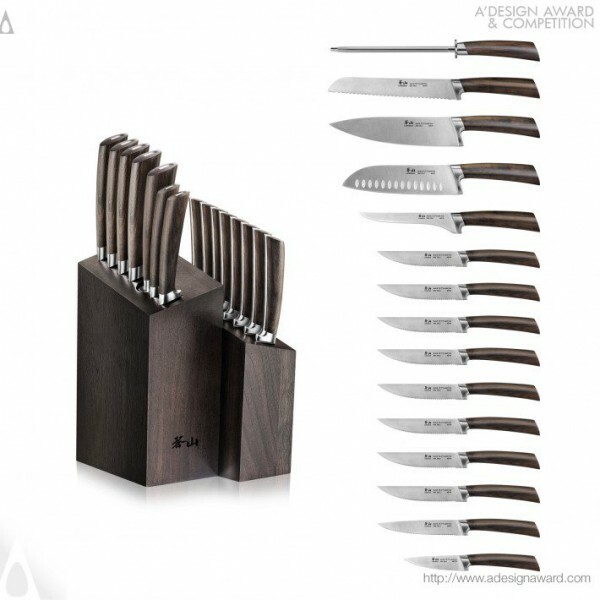 Each forged and full tang knife feature flush seams, marrying the distinct materials while allowing the knife to comfortably fit the chef’s grip. 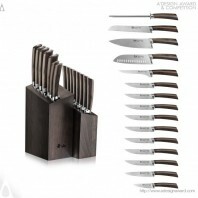 A full range of essential kitchen and steak knives are securely housed in the richly textured, dark wood knife block..